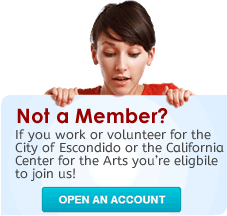 At Escondido Federal Credit Union, we offer Notary services to our current members. There is no charge for Credit Union documents, and a small fee per signature for other documents. Call us to schedule an appointment! Out of checks? You have options to reorder more. You can call us or visit one of our branches. We carry Liberty's product catalog that lists their latest styles for personal and business accounts, and will take care of ordering your checks. Place an order online by visiting Liberty's Web site.You can also view Liberty's product catalog. Direct deposit to your account at Escondido Federal Credit Union is available if provided by your employer. This service is free, and you can direct your deposits to your share savings, draft, and loan accounts. 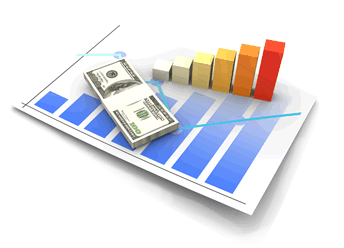 You will find this a sure way to accumulate savings and a worry-free way of making monthly loan payments. The Credit Union also accepts direct deposit of retirement and other reoccurring deposits and payments you may receive. Our staff is always available to answer any questions you may have. Call us today! Do you love going to the movies? We offer discounted Regal Cinemas movie tickets to our members! The cost per ticket is only $9.00 and they do not expire! These tickets are honored at Regal Cinemas, United Artist Theaters, and Edwards Theaters. Visit one of our offices to purchase your discounted tickets! NOTE: A upgrade fee may be paid at the box office for admission to "selected" restricted films. For more information on movies currently playing, visit Regal Cinemas. As a convenience to EFCU members, we carry $11.00 booklets of twenty (20) self-adhesive, First-Class stamps. The $0.55 stamps are from the USPS Forever Collection. The Forever stamp will always be valid as First–Class postage on standard envelopes weighing one ounce or less, regardless of any subsequent increases in the First–Class rate. For more details, please visit the United States Postal Service Web site.